As many of you have noticed, I tend to post something bigfooty here about every other day or so. Well, something very big is afoot (pun intended), and it's going to take a large portion of my attention, thus making my posts much more sporadic. Fear not, I will return in force. And when I do, big news will follow shortly behind. Does Scott Minton ever stop? Let's hope not! Have you noticed that all the smart creatures head in the opposite direction of humanity? I'm just sayin'... Save the ferns! Uly doing the Patterson/Gimlin Peacock! "Oh my gosh, Cliff. We were watching the opening to one of the Twilight movies. It showed mountains and trees in the Cascades. 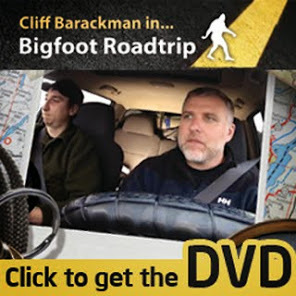 Uly said, right out of the blue, "Bigfoot lives there." It's good to know that my friends are raising their children right.